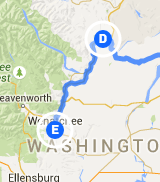 Trip Log – Day 108 – Brewster, WA to Wentachee, WA | How Will We Live Tomorrow? Washington State has a way of turning even the most benign ride – 65 miles downhill along the Columbia River – into a challenge. Dawn broke with smoky haze and strong winds that kept me working hard all morning. It’s discouraging to see whitecaps break upstream on the mighty Columbia. Thankfully, the skies cleared and the wind settled toward the end of my ride, so I could focus less on pumping my legs and more on the splendor of the valley. The vagaries of the ride could not distract from the day’s main event – apples! 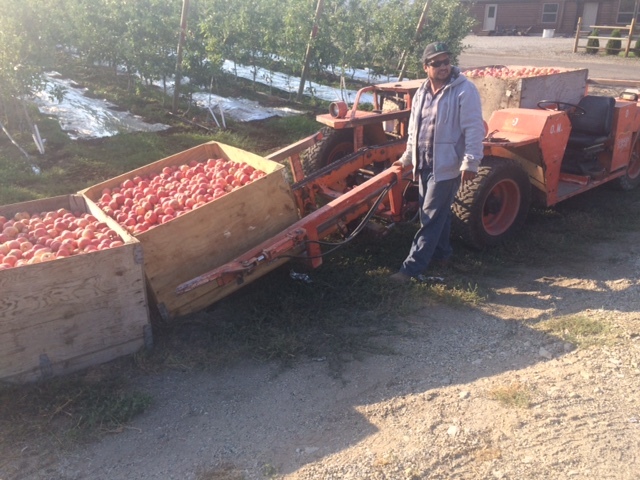 I saw enough steps in harvesting along my route to piece the process together, and appreciate the hard working Mexican-Americans who bear the biggest burden to ensure we have Washington Applies all year long. The basic unit of harvest is the crate: four feet square and 30” deep. They come in wood or plastic, with the orchard’s name and apple type stenciled on the side. 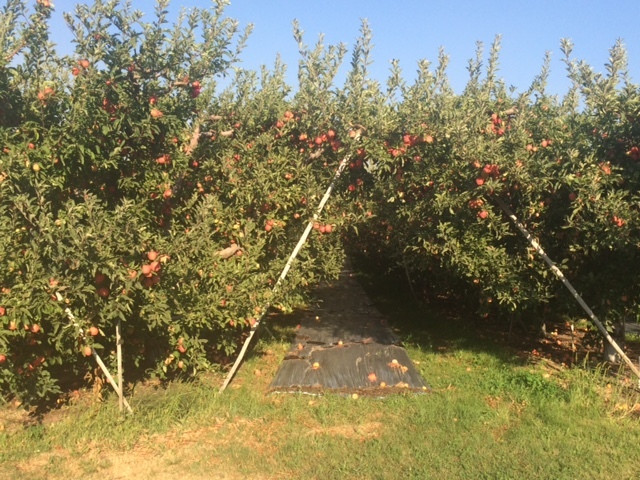 When an area is ready for harvest, wide strips of plastic are laid out between the rows of trees and an empty crate is set beneath every second or third tree. Farm laborers with three-legged ladders and frontpacks that look like giant snugglies climb into the trees, pick apples, and deposit them into their pack. When full, they amble down and transfer the produce to a crate. Then repeat the process. I asked one guy how many crates he filled per day. He said twenty, but since his English wasn’t much better than my Spanish, don’t quote me on that. 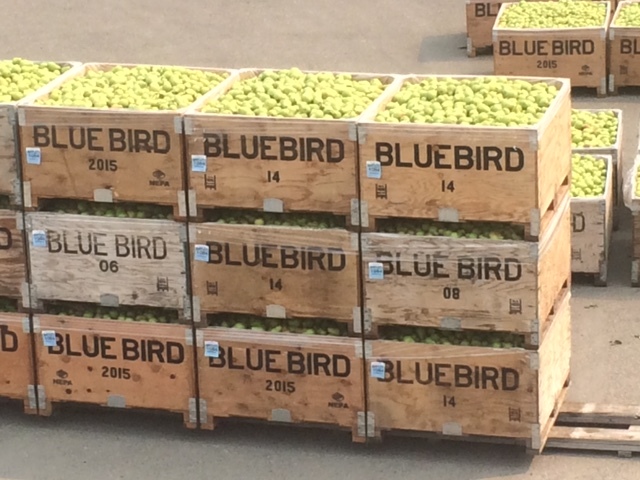 There are a variety of small tractors that run between the apple trees and convey full crates to a loading area. 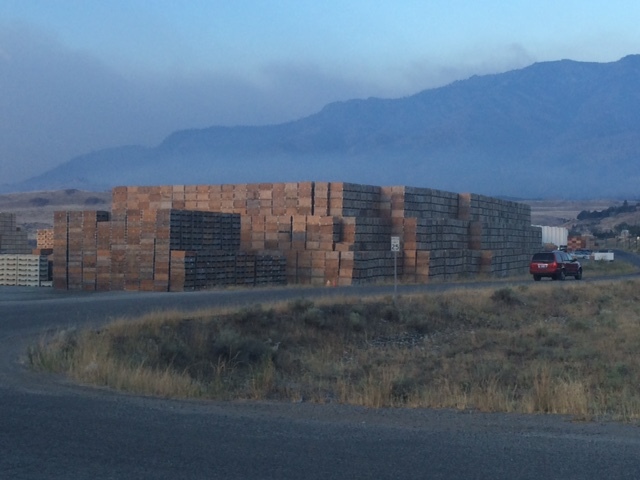 Many semis with 40 or more crates whizzed by me on US 97. 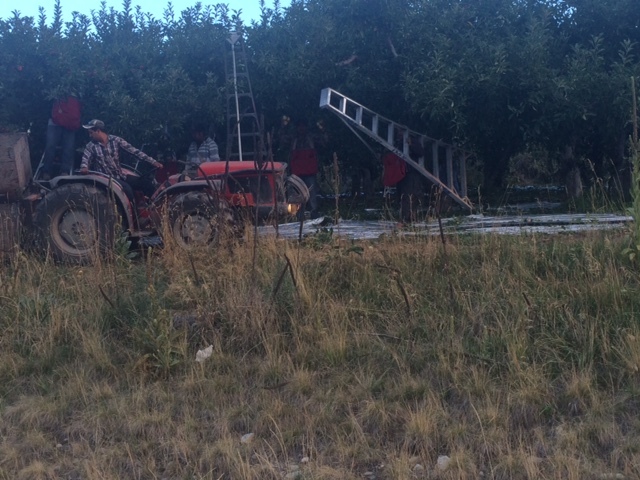 Some laborers have cars, but many go from orchard to orchard in school buses or white vans. Other white vans transport the fire fighters I see on break in many towns. A few parks have been commandeered into makeshift camps for fire crews. Others are still full of RV’s and campers enjoying their vacation. There is a sense of an emergency: near, but not here. By noon the sky turned blue as I’ve seen in a week and the river turned ultramarine. I passed a few more dams. Dams along the Columbia River are frequent as service areas along the New Jersey Turnpike. The dams turn the river into a series of lakes. 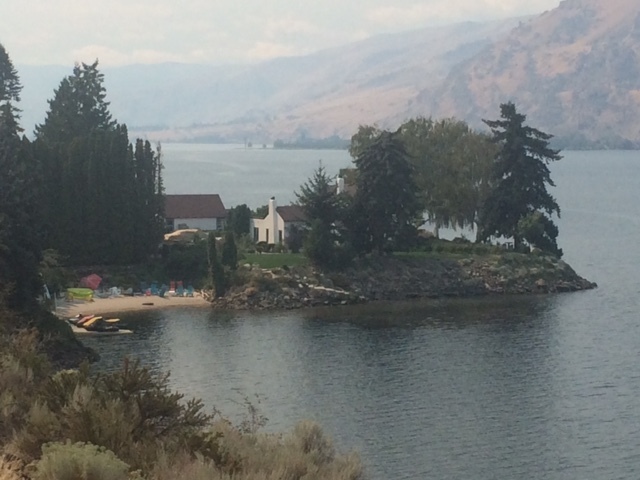 Elaborate vacation compounds line the shore. 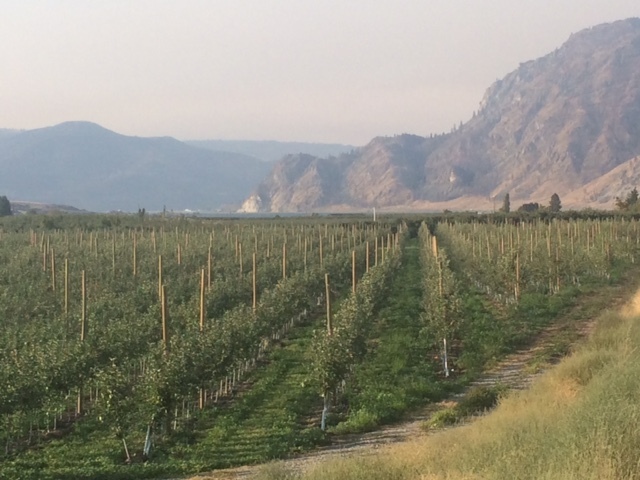 The difference between the lush vegetation, irrigated orchards, and barren mountains is striking. I stayed with a top-tier warmshowers host in Wenatchee, along with another cyclist from England. 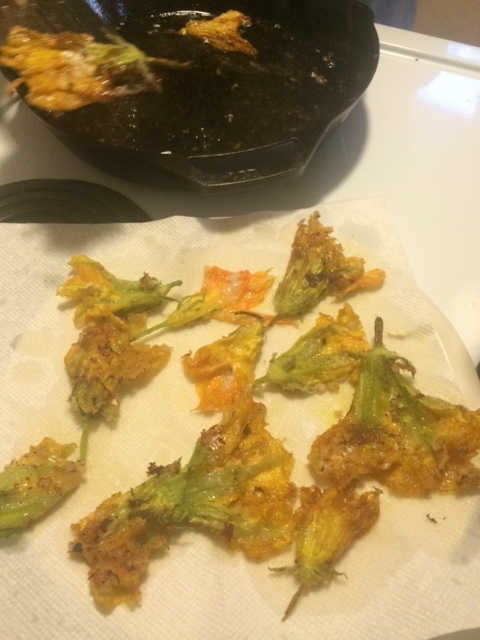 Dinner was terrific, especially squash blossoms: the flowers of a squash plant, stuffed with goat cheese and lightly batter-dipped. Yummy! This entry was posted in Bicycle Trip Log and tagged apple harvesting, apples, Bicycle Touring, Columbia River, squash blossoms, warmshowers, Wenatchee WA. Brewster WA. Bookmark the permalink.